Staff Picks for January 16, 2019 – The League of Extraordinary Gentlemen: Tempest, Black Badge, The Sea and More! As ever, the literary, the pop cultural and the irreverent collide in the latest issue of Alan Moore and Kevin O’Neill’s finale arc for the League of Extraordinary Gentlemen. In a time-jupping instalment we’re promised the one and only performance of a lost Shakespeare play, the return of a 1960s “super-adventurer”, and swordplay atop the Paris Opera in the early part of the twentieth century. All wrapped up in that wonderfully nostalgic cover with an instant appeal to old school British comics readers. Can it really be nearly 20 years since this series debuted…? If you can’t make it to the various big comic art festivals, it can feel at times like the whole scene is a global party to which everyone younger and better-looking has been invited. Fortunately your pals at Fantagraphics are putting together Now, a regular goodie bag of the best alt-comics, so you don’t need to feel too left out. 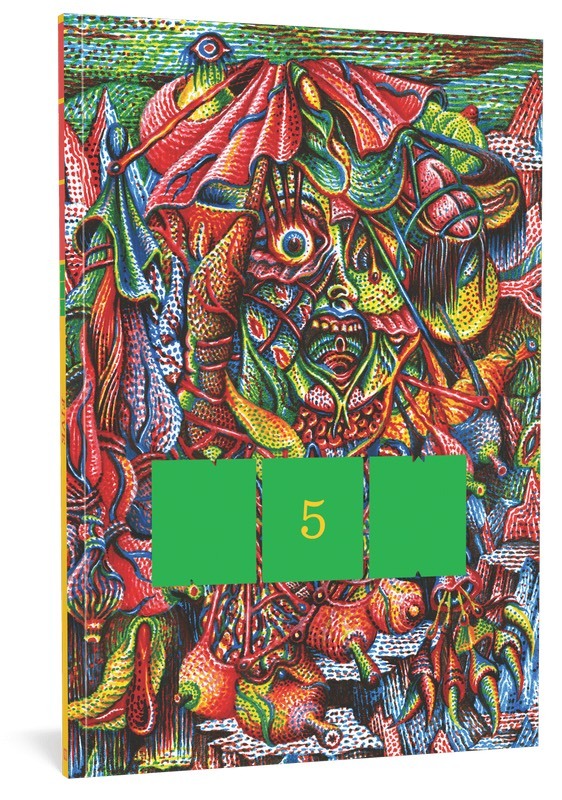 The full-colour fifth issue of this Eisner-nominated series contains all-new and self-contained work from a heap of comics luminaries, including Theo Ellsworth, Ana Galvañ, Maggie Umber, Eroyn Franklin. Roman Muradov, Jose Quintanar, Walt Holcombe, Walker Tate, Keren Katz, Darin Shuler, Jesse Reklaw, and Nick Thorburn. It’s like a special CAF just for you and your cat, without the agonising small talk.. 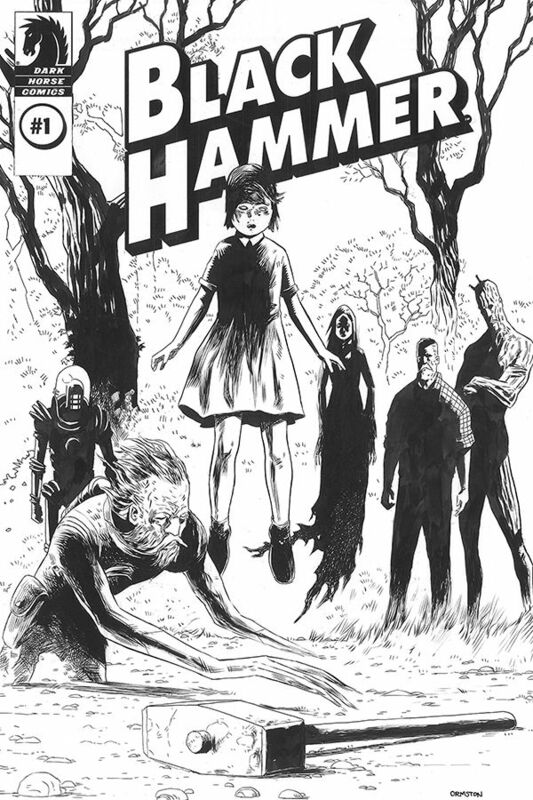 Revisit the first issue of the Eisner award-winning series Black Hammer with a detailed look at the original black & white line work. Printed without color, each page features a high resolution scan shot directly from the art board where it was drawn, then assembled with the digital lettering so that it can still be read like a comic. This 56 page deluxe edition also comes with Jeff Lemire’s original script for the debut issue. 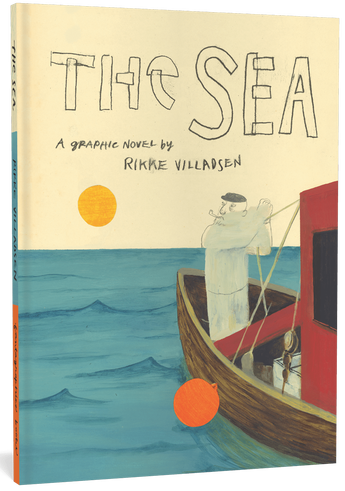 The debut English language graphic novel of Danish artist Rikke Villadsen comes to us via Fantagraphics this month. 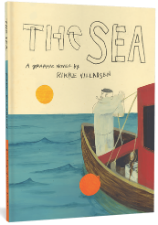 In this haunting maritime tale we observe an old fisherman whose bizarre catch, including a baby and a talking fish, leads into a narrative steeped in symbolism and the surreal. Those wanting an advance look can check out the book on YouTube here and will, no doubt, be struck by the dreamlike quality of Villadsen’s art which embraces a curious mix of realism and the absurd. 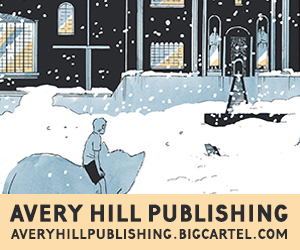 We’re always grateful here at Broken Frontier to publishers who bring international graphic novels to wider readerships and broaden our comics reading experience. 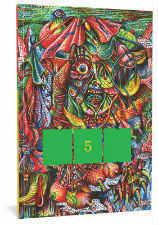 Fantagraphics are always a reliable source in that regard. 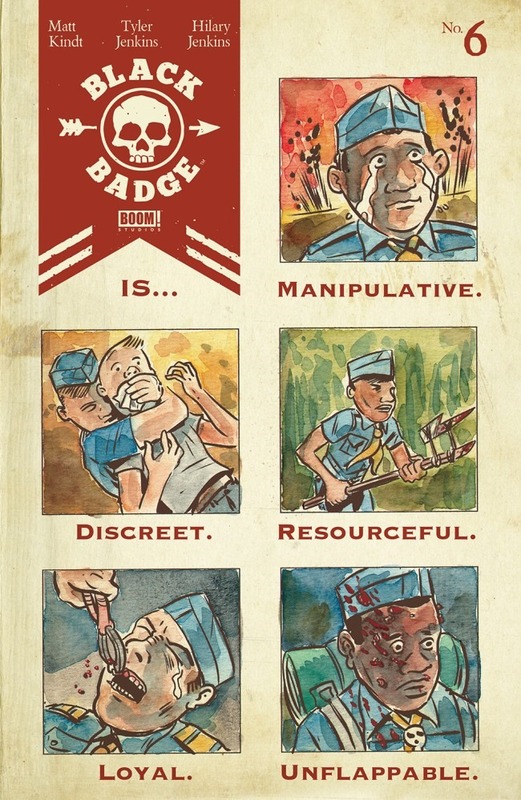 Matt Kindt and Tyler Jenkins are a creative force of nature on their latest collaboration, Black Badge. Issue #6 hits the stands this week, and it explores the history behind a particular generation of Black Badge scouts and includes a game-changing discussion between Mr. and Mrs. Hurst. Kindt never wastes a frame of his stories. Everything propels the characters forward, even if it’s a look back in time. So if he’s offering a glimpse into the history of the Black Badge, then we better pay attention even as Jenkins’ gorgeous art and Hilary Jenkins’ gripping colors invite us to take our time moving from panel to panel. 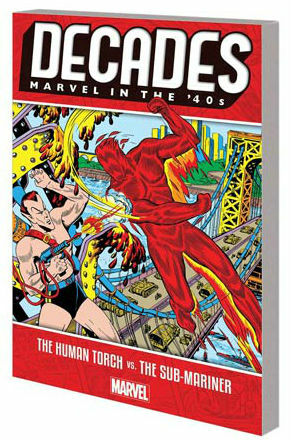 Depending on your definition – and Marvel’s own has shifted over the years depending on what anniversary is ripe to exploit for a commercial opportunity – the House of Ideas celebrates its 80th anniversary this year. One of their publishing initiatives in 2019 to commemorate eight decades of publishing under various names is a series of Decades volumes compiling classic material from across 80 years in accessible volumes. Fight Club 2 #1 – Space Monkeys of the World, Rejoice! Your Leader Has Returned!